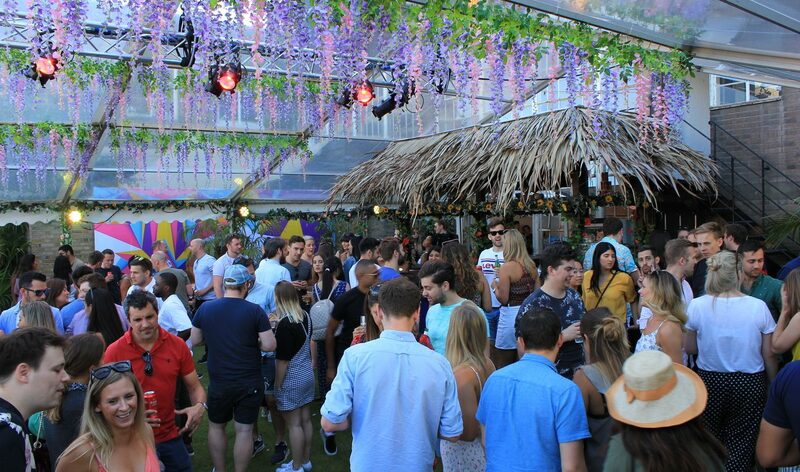 Located on the world-famous Brick Lane, the City Summer House is an ideal corporate Summer party venue and offers a truly unique Summer party experience for your event. Steeped in history and with a fantastic location. The Old Truman Brewery was founded in 1666 and is one of the world’s largest breweries still featuring exposed brick work and an industrial chimney. 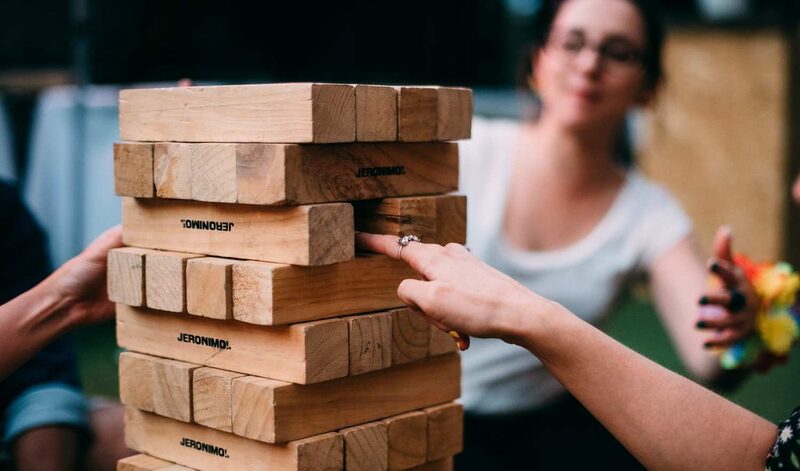 With a range of summer party packages to suit nearly any budget the City Summer House can cater for almost any corporate summer party. Our packages include BBQ’s, table tennis tables, table football tables, garden games and unlimited drinks packages. You can see some of our most popular packages our Party Packages page. 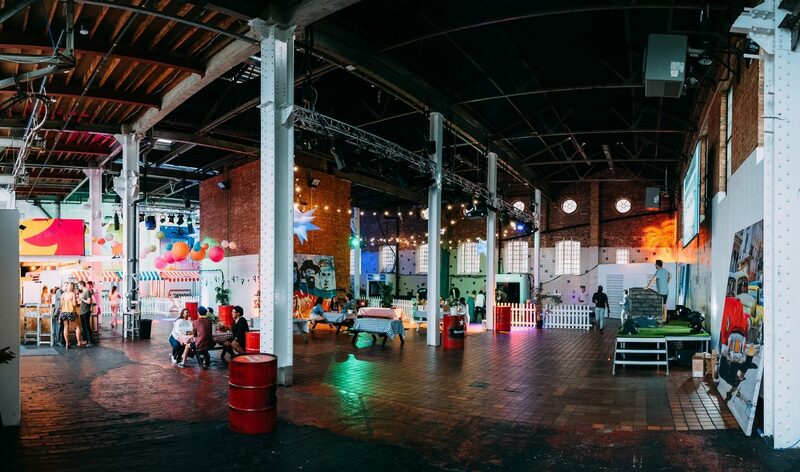 Beautifully designed venue in a historical brick work warehouse situated on the legendary Brick Lane in Shoreditch, East London. 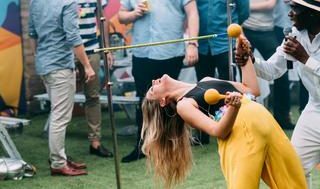 The City Summer House is a versatile venue with the ability to throw anything from a summer BBQ party to a large conference or product launch. 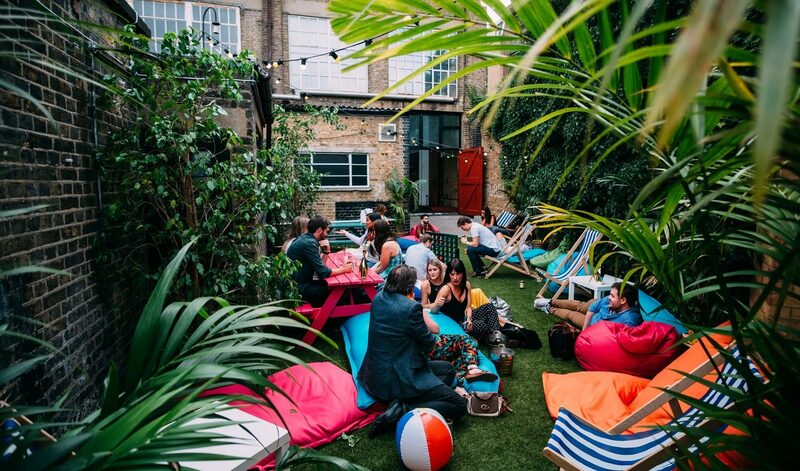 Hide away with your group in the secret garden while sipping cocktails and lounging on the beanbags and deckchairs dotted around. The City Summer House offers a range of Drinks packages and receptions from a traditional pimms reception to a dazzling cocktail reception. The venue can accommodate 150 guests to 650 guests, offering dynamic space throught making City Summer House ideal for any event. The City Summer House boasts a large indoor warehouse style interior, a large covered garden and a secret VIP garden that guests are able to enjoy. The food was delicious, the drinks plentiful, and the sun even shone for us! Deltalight would like to thank Awesome events for hosting their best summer party yet, and hope to come back again in the near future. First and foremost, thanks so much for a fantastic event on Friday. Everyone had a great time and thought the space was great. The staff were made to feel very welcome and we had no complaints. I just wanted to say a massive thank you for helping organizing a great summer party for MSCI. 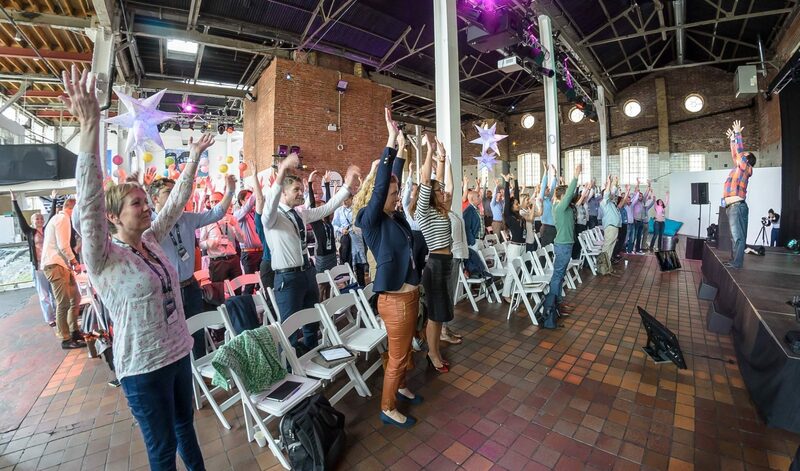 The office had a wonderful time – great food, entertainment and games – what more could they ask for? Download a brochure for more information on the packages and types of events available at The City Summer House.